This blog is part three of a series about mothers and daughters who share GFWC membership. Click here to read parts one and two! As they get older, mothers and daughters often find themselves busier, leaving less time to spend together. Jen Wilbur and Celene Post, and many other mothers and daughters who are members of GFWC, find that volunteering is the perfect way to make the most of their time together. “Although we both lead busy lives, GFWC is a great bond for us to share. It makes me more determined than ever to continue as an active member of GFWC,” Celene said. GFWC Annual Conventions are especially fun for Jen and Celene, who live in Arizona. The 2013 Annual Convention in Hollywood, Florida, was a particularly proud moment for Celene, as Jen was the Arizona LEADS Candidate. “We get to get away from everything. My mother is very involved with GFWC so she can get busy but we always find time just to have fun, whether it be a day of shopping, a night out, or a GFWC activity. We have gotten better each year at planning, it’s almost down to a science now,” Jen said. Jen and Celene have served as co-chairmen of their club’s Conservation Service Program, and enjoyed running recycling programs, celebrating Earth Day and Arbor Day, protecting nature, and planting trees. “I think this will be something we look back at when we both get older and will be able to cherish these memories,” Jen said. 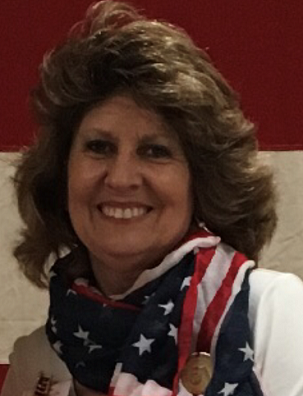 Laura Bryant Palmer joined the Spartanburg Junior Women’s Club in 1991 at the insistence of her mother, Jolene Willard Bryant, who was a member of the GFWC-Jubilee Club in South Carolina. “Not following her instructions was something I was unaccustomed to doing, so, at the age of 22, I became a clubwoman,” she said. In 1999, Laura’s mother encouraged her to run for South Carolina Junior Director. She was elected and served alongside her mother, who was the State President. “During the 2000-2002 administration, my mother and I traveled across the state, the region, and the country together. The memories that I have from those two years are numerous and precious,” Laura said. Jolene received the Woman of Distinction Award from GFWC South Carolina in 2012. In April 2015, she was honored for being nominated to the Order of the Jasmine, and Laura accepted the award on her mother’s behalf. “The next morning at the annual memorial service, district presidents lit a candle for those members in their respective districts who had passed on since the last convention. My mother’s name, Jolene Willard Bryant, was called. I lit her candle. It was our last convention,” Laura said. 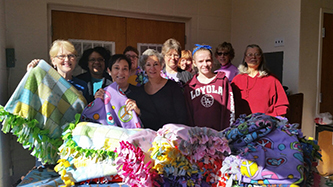 In Indiana, the Chesterton Woman’s Club is full of mothers and daughters who share a GFWC membership. Lillian Vetter, mother of Gretchen Vetter Loomis, a current club member, was a charter member of the club when it was federated in 1936 and served as president from 1941-1943. She is the author of two memoirs of her parents. She passed away in May 1977 at age 84. Mary Elizabeth Paynter Rhed, mother of current member Bertha Rhed Still, was an active member for over 50 years. She aged gracefully and went blind. She loved books on tape and wrote book reports, and received a GFWC award for reading 100 books. She could hardly wait for Bertha to retire from teaching to join the club. Bertha was president of Chesterton Woman’s Club before her mother died at 99 in 2005. Ruth Ton, mother-in-law of Sharon Ton, one the newest club members, was a very active member. Ruth is remembered by some of the club’s longtime members as being raised in the South and always dressed to the T’s as she never left her home without hose, heels, a hat, and white gloves. She never drove a car and depended on friends to pick her up. Ann Hokanson is the club’s oldest member at 103 years. Ann majored in English, speech, and theatre and would direct plays for the club functions and in the Chesterton community. Ann did not join GFWC until after her children were settled in school. Ann’s daughter now brings her to club meetings when Ann is up to it, especially when the club celebrates Founder’s Day and installs new officers and members. She always has words of wisdom to share. If you’re a clubwoman with a legacy in GFWC, please consider joining the GFWC Legacy Club. Learn more by visiting the club’s Facebook page. Stay tuned for more stories throughout the month of May about mothers and daughters who belong to GFWC!